Above & Beyond - Group Therapy. Vinyl LP, CD. Anjuna Music Store. 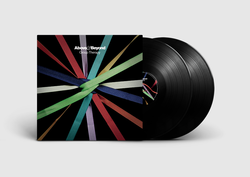 Featuring the recent BBC Radio 1 playlisted single "Sun & Moon", Above & Beyond's "Group Therapy" is the much anticipated second artist album from the Anjunabeats trio - encompassing trance, electronic house, downtempo and even modern classical influences. Bringing Above & Beyond's renowned blend of classic song-writing values and sleek electronic production into a contemporary context, "Group Therapy" features 15 tracks of cutting-edge melodic music - including vocal efforts from both Richard Bedford and Zoë Johnston.